As Week 5 rolls in, so does the first wave of bye weeks. Weeks 5 thru 11 can be detrimental to a fantasy owner if they have not prepared for the byes in the early weeks of the season. For the first time all year, a team’s bench is going to be put to the test. 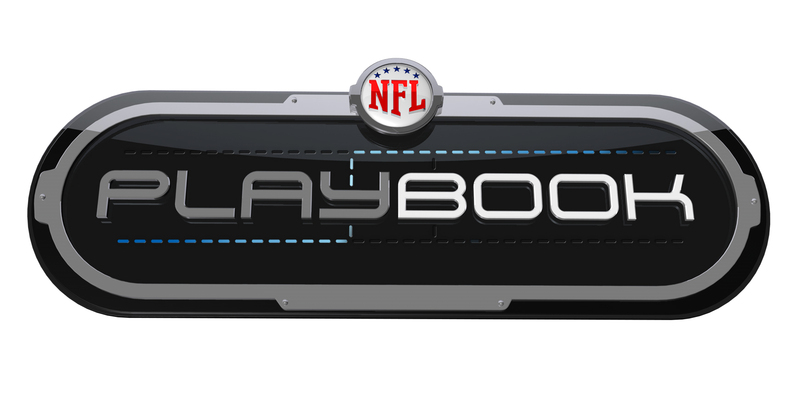 The guys here at NFL Playbook have watched the All-22 tape to try and help owners out this week as best we can. We aim to let you know if your studs will produce, but also to enlighten you with some of the lesser known players we’re noticing. Everyone knows the names to pick up for this week, but we have looked at the tape to figure out if those guys will put up starter numbers or should hold their place on the bench. Here’s Part 1 of our Week 5 tips. 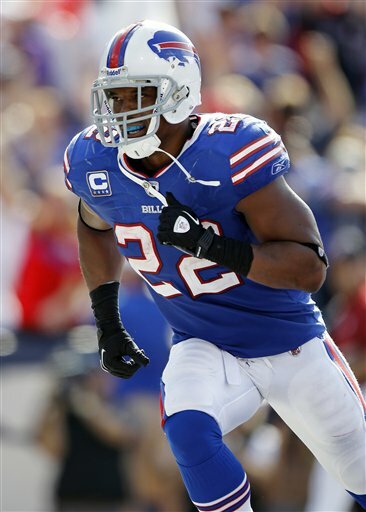 . .
Fred Jackson and the Buffalo run game was slowed a bit last week. Against the Eagles it should be able to get back on track. Buffalo does not possess the most physical OL, but by spreading teams out to run the ball they do not have to be as strong. We have started to notice a few things about the Eagles Defense against the run. Their DEs line up wide and get up the field quick which gives natural lanes off tackle for the Bills to use. The Eagle DBs are not physical and their LBs struggle to attack the line of scrimmage when they are in space. These are all things that Buffalo should be able to capitalize on. Buffalo’s DBs have struggled to attack deep throws in the air. WRs have done a good job not only getting over top of the defense, but making plays on the ball in the air. Expect Michael Vick to take advantage of this and let his WRs go up and make plays on some passes down the field. Since Buffalo does not possess a great pass rush or a dangerous edge rusher, Vick should be able to keep plays alive outside the pocket, allowing his WRs to get open down the field. Buffalo’s run D has not been what the Bills had hoped it would this season. We have seen on film that they show up for one half, but have yet to play well for two. Last week against the Bengals, Buffalo shut down Cincinnati’s running attack in the 1st half, allowing only 1.6 yards before contact per carry. In the 2nd half, the DL was getting blown off the ball and allowed an astonishing 5.4 yards per carry before making contact with a defender. While Philadelphia does not possess the same physicality up front, if the Eagles remain diligent with the run, LeSean McCoy should finish with some good numbers. 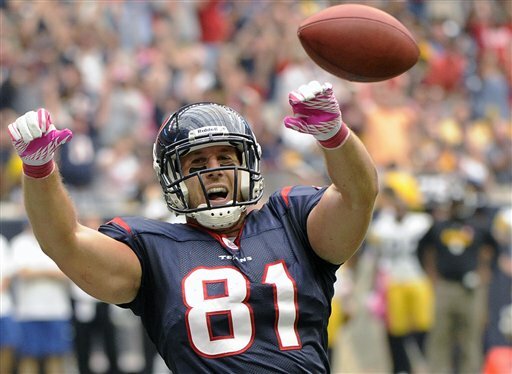 With Andre Johnson’s injury, the Texans are going to rely even more on their TEs. Last week against the Steelers, Matt Schaub completed 7 passes to his TEs out of his 14 completions. The Raiders stand out on tape with their defensive speed on the outside, which could catch these WRs by surprise. Kevin Walter and Jacoby Jones have only combined for 11 catches this season. While their names are trendy with the injury to Andre Johnson, we think that the TEs will be utilized more this week to pick up the slack. Owen Daniels should continue to produce starter numbers, but pay attention to James Casey to see if his production starts to increase without Johnson in the lineup. The Texans OL has stood out to us as one of the best in football. Last week they were able to control the line of scrimmage against a physical Steelers front 7. With a healthy Arian Foster back, the Texans running game should improve on an already impressive start this season. Arian Foster is a great runner for the Texans zone blocking scheme. He is a physical specimen that excels at making one-cut and getting downhill quickly. This combination makes him very difficult to tackle for any defense. The Texans defense struggled at times last week holding the edge against the Steelers Run Offense. The Raiders will no doubt have noticed and try to exploit this. Darren McFadden excels as an edge runner and pass catcher, two things the Texans have struggled to contain. Mario Williams has been a force on the outside, so expect the Raiders to try to limit his pass rushing ability by running at him and throwing screens to McFadden. 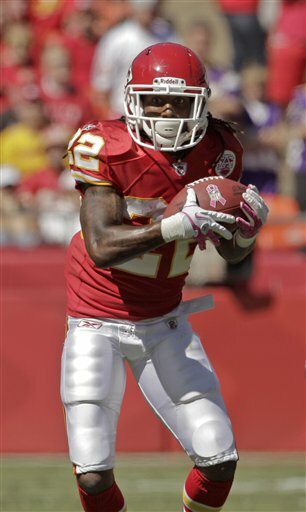 Dexter McCluster is one of those bench players you might be forced to rely on this weekend. On the surface this is one of the best matchups he could have. The Colts are not overly strong at the point of attack and are a little banged up on the DL. The Chiefs OL has taken a step back this year, but this is a manageable matchup for KC. We think that McCluster should continue to see a fair amount of opportunities this week and should find success running draws and designed plays putting him in open space. Do not expect anything spectacular, but you should feel comfortable if he is a bye week fill-in. Curtis Painter and Pierre Garcon showed a great chemistry last week. Garcon is somebody that should be picked up if he is available. We feel that the Colts offense as a whole will continue to improve if Painter continues to start. The Bucs game showed that the Colts O runs much better with Painter behind center. Guys like Reggie Wayne and Dallas Clark have really struggled this year, but expect their numbers to start to increase a bit as Painter gets more comfortable getting the ball to all of his weapons. On film, the Jaguars have a lot of their success running the football when they are lined up in tight formations. Last week against Buffalo the Bengals surrendered a few good runs to the Bills because of Buffalo’s ability to spread the field and get some of their players in space. This week we see the Bengals controlling the line of scrimmage and limiting the success Maurice Jones-Drew will have on the ground. His talent alone will allow him a couple medium gains, but expect the Bengals physical front 7 to limit his overall production. New Orleans was able to open a lot of running lanes against the Jaguars last week. We anticipate that the Bengals will have some of the same success this week. As Buffalo saw last week, the Bengals stay committed to the run for four quarters which makes it hard for any defense. The Jaguars do this sometimes, but they showed last week they will allow Blaine Gabbert to throw the ball A LOT. The Bengals physicality along their OL and their commitment to the run should allow Cedric Benson to have another productive day on the ground. Jermaine Gresham put up very good numbers against a struggling Buffalo secondary last week. He was primarily matched up against a Safety, which limited his ability to stretch the field, but he made multiple plays where he used his size to his advantage. Now this week, he should see a lot of coverage from the LBs which will allow him to utilize his athleticism. Combine that with the fact that Andy Dalton has started to trust Gresham as the season has progressed — especially in the redzone ; those two factors should bode well for him this week. Nate Washington might be another one of the players who could see himself in some owners starting lineups this week. We at Playbook say proceed with caution. Now that Washington is the “number one target” in Tennessee he has been getting much more attention than when Kenny Britt was still healthy. Last week he saw only four targets. On tape we saw that his only big play came on the equivalent of a basketball screen from another WR. He just has not shown the ability to get open on a consistent basis enough to be consistently trusted in the starting lineup. 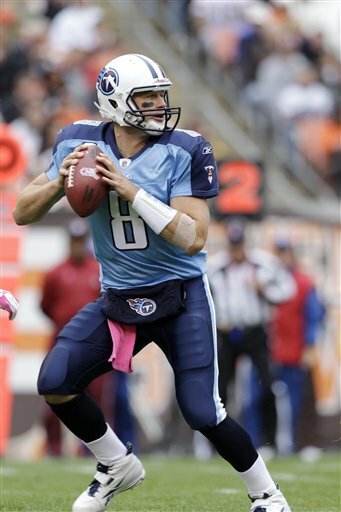 We like what we have seen from Matt Hasselbeck this season. He has shown great poise in the pocket, and has really done better than expected without Chris Johnson in full form yet. What has stood out is his ability to distribute the ball now that Kenny Britt is injured. Britt and Matt were developing a nice chemistry with one another, but Matt did a good job last week getting the ball to open WRs. Against a Steelers team that will blitz him a lot he is going to have to be able to stand in there and distribute the ball, all things we are confident he can do. He should be a fine start this week, especially as a bye week fill-in. If the Steelers are going to have any offensive success they are going to have to run the ball. With Ben Roethlisberger and Rashard Mendenhall both banged up and possibly not playing, we think Issac Redman could be a guy who could step in and do well this week. Pittsburgh’s biggest weakness up front has been pass blocking, but they played well last week (at times) when running the football. Both Redman and Mendenhall were able to break off some decent runs. We do not anticipate Redman doing anything extraordinary rushing the ball, but he should be able to get some yardage there while also being utilized in a lot of dumpoff and screen scenarios. If Mendenhall plays this week Redman’s stock drops slightly, but he should see a good amount of touches either way. With so many other injuries to San Diego’s pass catchers, Ryan Mathews and Mike Tolbert could see even more action than they already have. Mathews is starting to come into form as a runner, while Tolbert has really done most of his damage catching passes out of the backfield. Denver struggles to stop the pass, but Rivers is going to struggle to be in sync with so many new faces catching his passes. Your best bet is to look to Mathews and Tolbert to pick up the slack by getting more carries and more targets their way. While Willis McGahee continues to prove us wrong here at Playbook, what we have seen from the Chargers Defense is just too much for us to expect much from the Denver rushing attack this week. The numbers speak for themselves in how well the Chargers have played against the run. On film, what stands out to us is their ability to disrupt and create havoc at the line of scrimmage. They do a great job flowing to the ball and gang tackling. 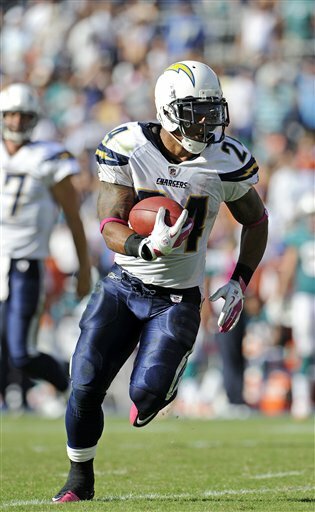 Willis McGahee is not an elusive back, which will limit his ability to cut back to try to counteract the Charger’s aggressiveness. The Playbook guys have been high on Stevan Ridley since we saw him on film in the preseason. He is a compact guy with a great center of balance, but still possesses the agility to move well laterally. He is definitely someone to keep an eye on after his performance last week. He finally received some carries and did not disappoint. With Danny Woodhead banged up and Benjarvus Green-Ellis not possessing the same explosiveness as Ridley, Steven could be in line for even more carries the next few weeks. If you need to start him this week he could give you OK numbers, but more importantly he is somebody to pick up and put on your roster. Santonio Holmes is going up against one of the worst secondaries in the league. Combine that with New England’s ability to score points and the Jets are going to have to throw the ball to keep up. Holmes has not produced as expected this year, but this is a great opportunity for him to get back on track. The Patriots are not physical on the outside and tend to give WRs a lot of cushion when they are playing zone. Both of these should allow Santonio to get clean releases off the line while giving him some room to run after the catch. If Sanchez wants to get comfortable back in the pocket he will look Holmes’ way early and often. It was part of the Raiders’ game plan last week to take Rob Gronkowski out of the game in any way possible. On film they used a LB to bump him at the line to throw off his routes and then utilized their speed and athleticism at safety to cover him down the field. The Jets’ safeties do not possess the same athleticism as the Raiders’ which will not allow them to play man on Gronkowski all game. Rob is a threat each week simply by the number of red zone targets he receives, but we think he should be able to get back on track yardage wise this week. With the Patriots’ depth at receiver verses the man-to-man happy Jets, don’t be surprised to hear Chad Ochocinco’s name called upon as well. Check back to TCIPF for Part 2 of our Week 5 breakdown.